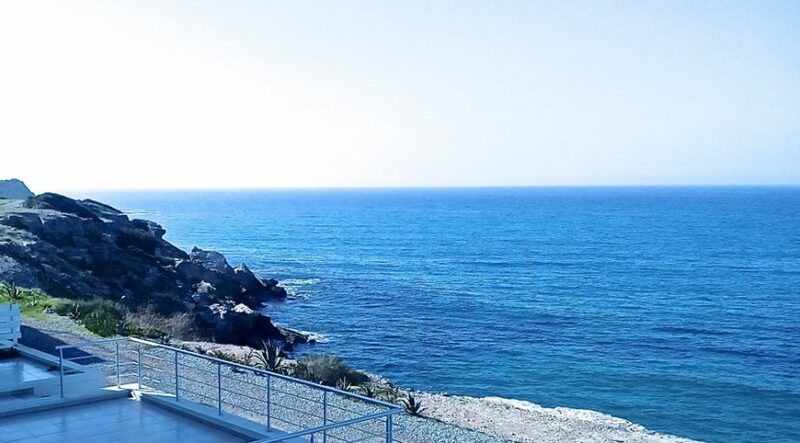 Wake up and see the waves! 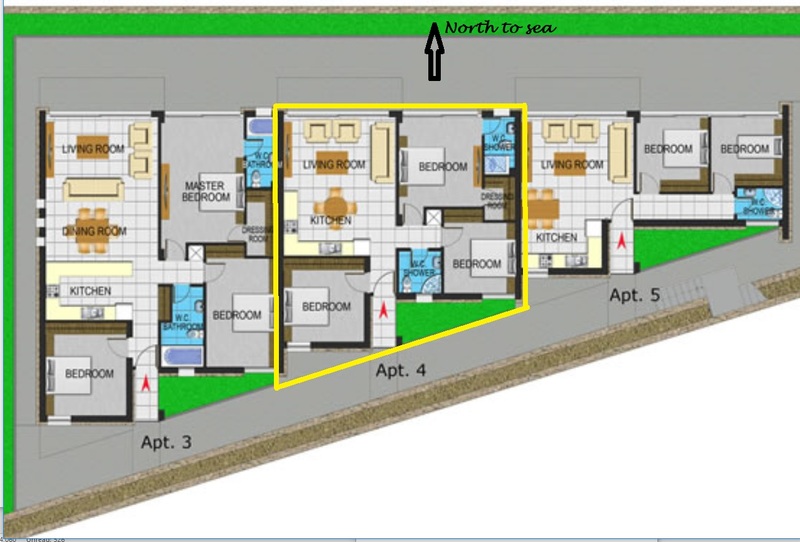 Absolute frontline property. 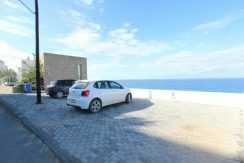 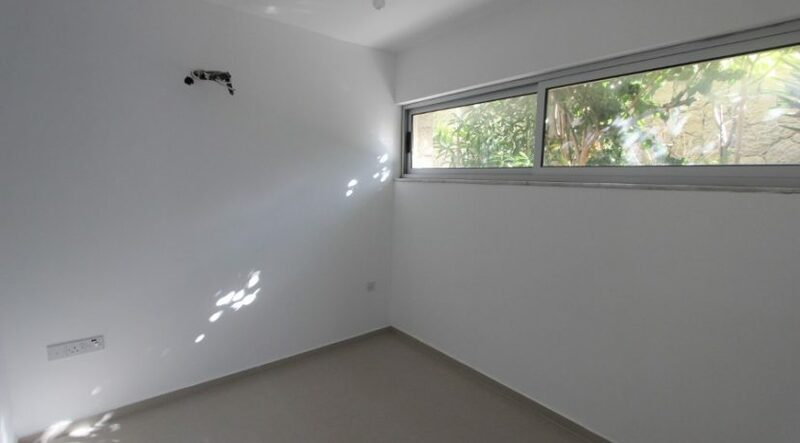 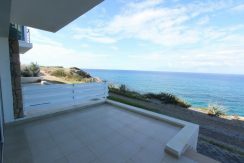 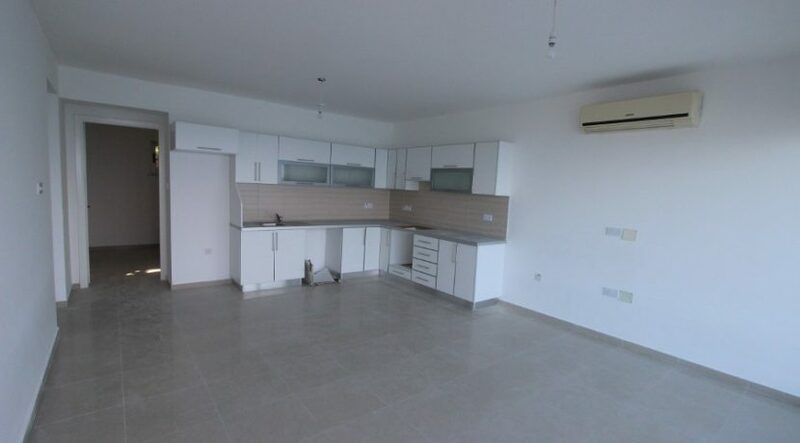 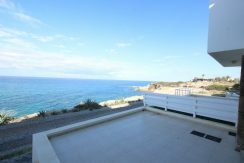 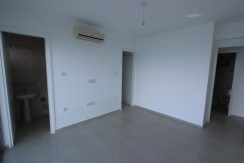 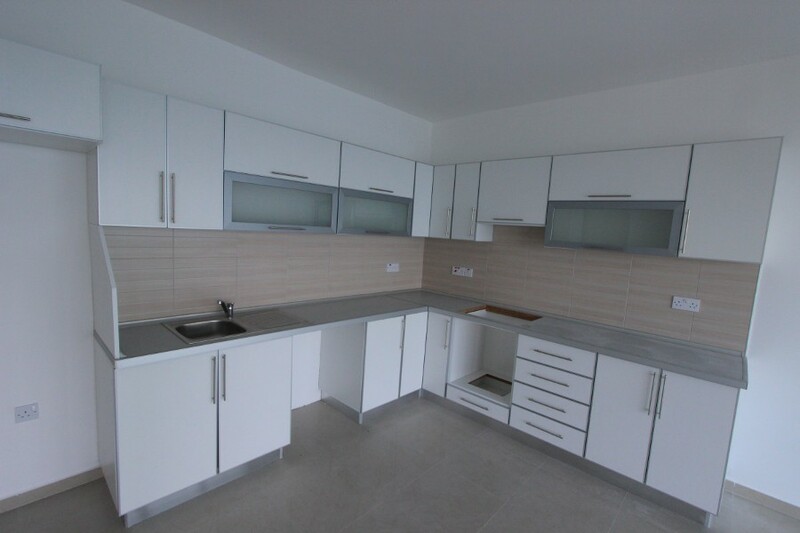 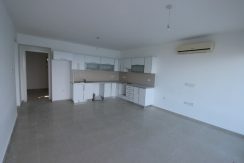 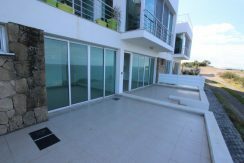 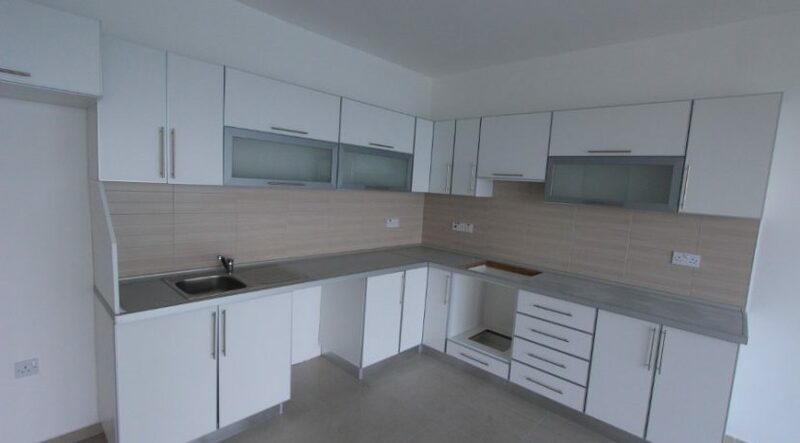 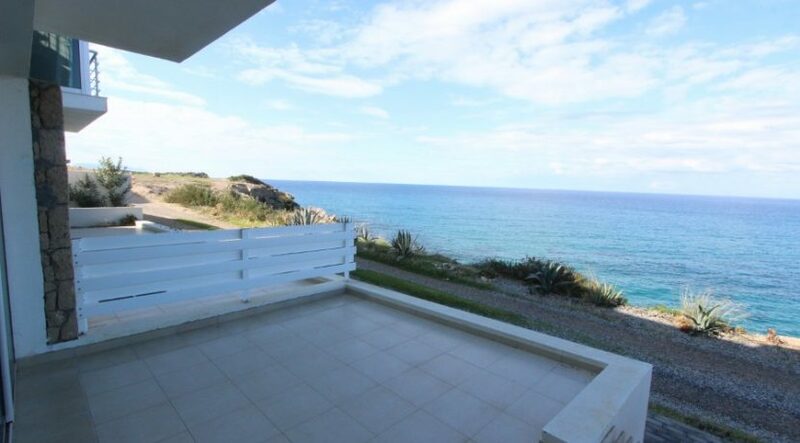 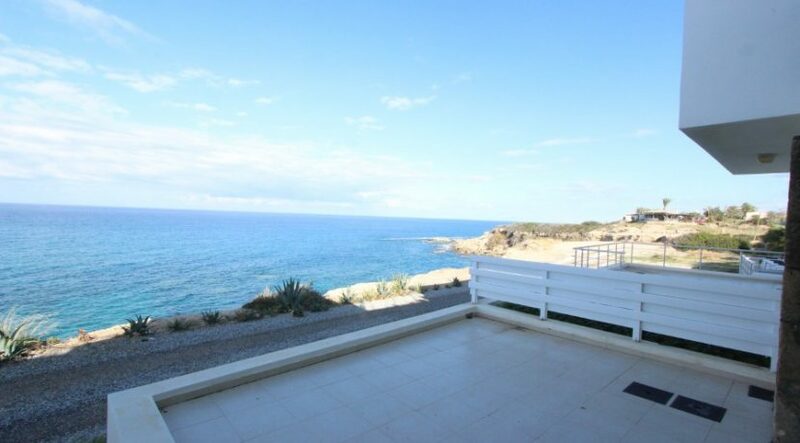 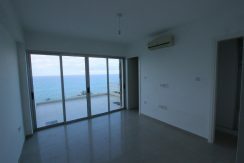 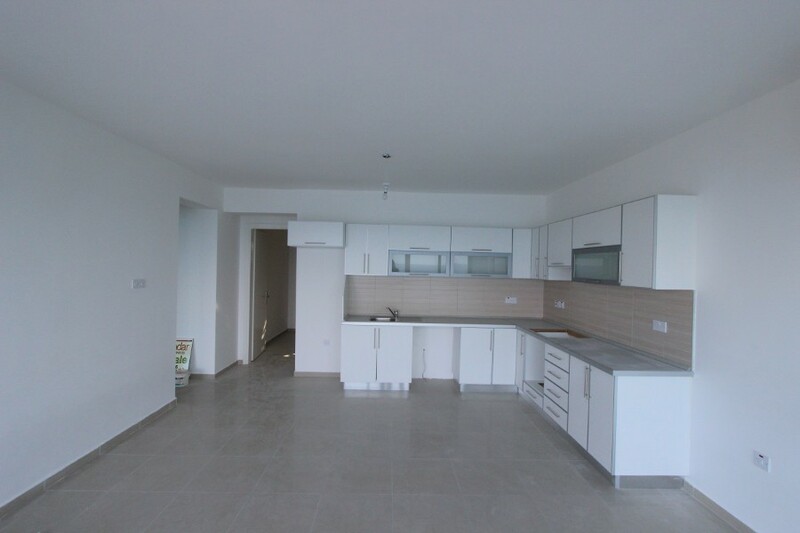 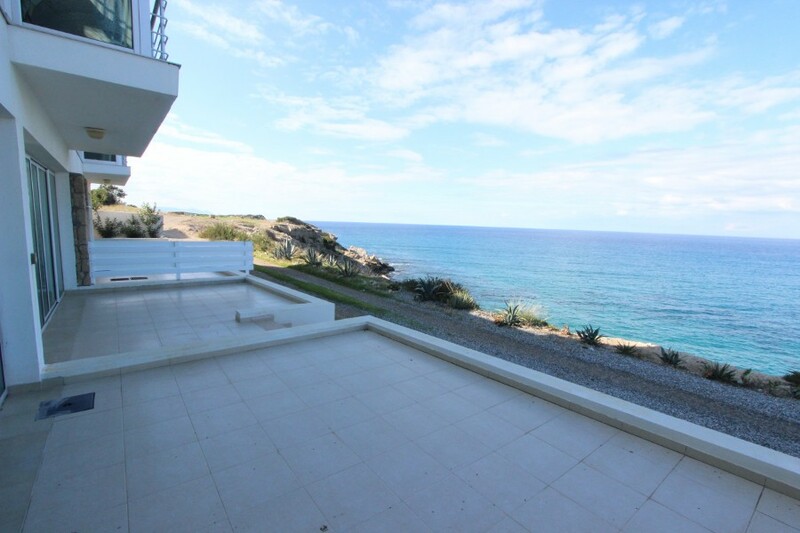 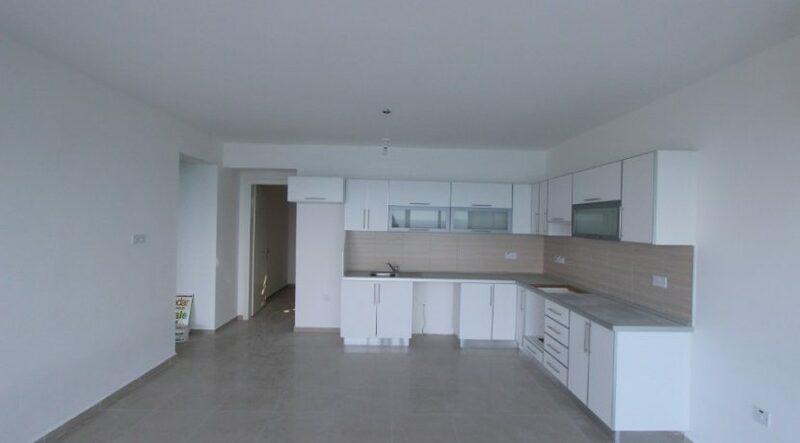 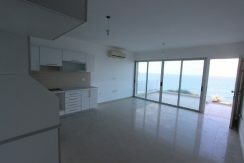 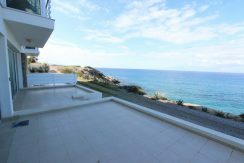 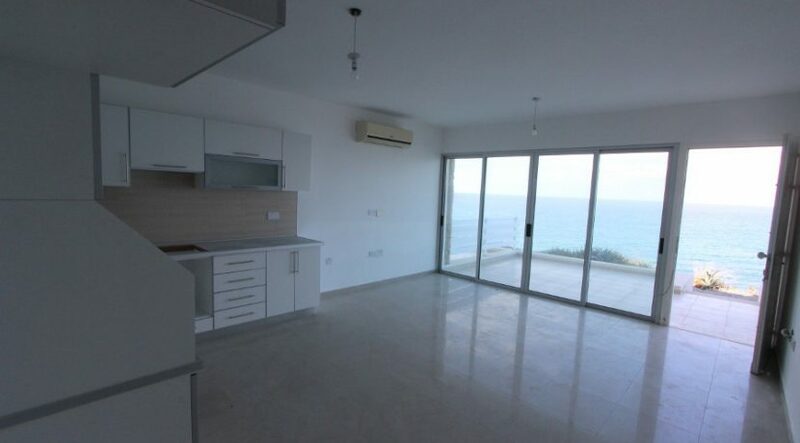 This lovely apartment with double fronted picture windows and amazing views is on the popular North-East Coast of Cyprus. 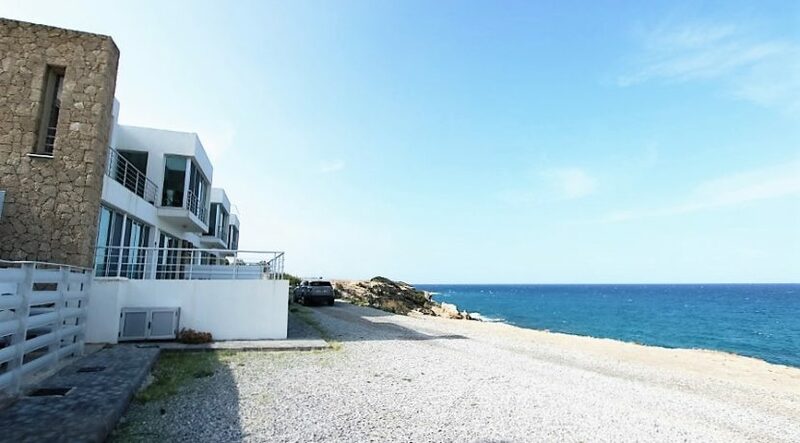 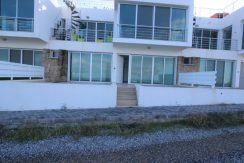 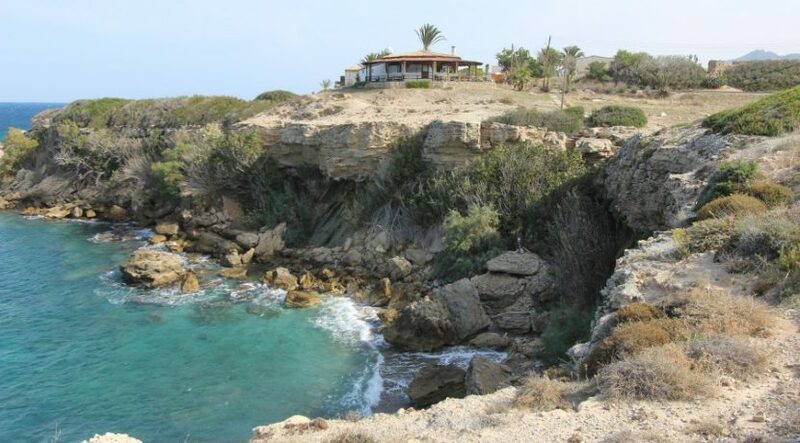 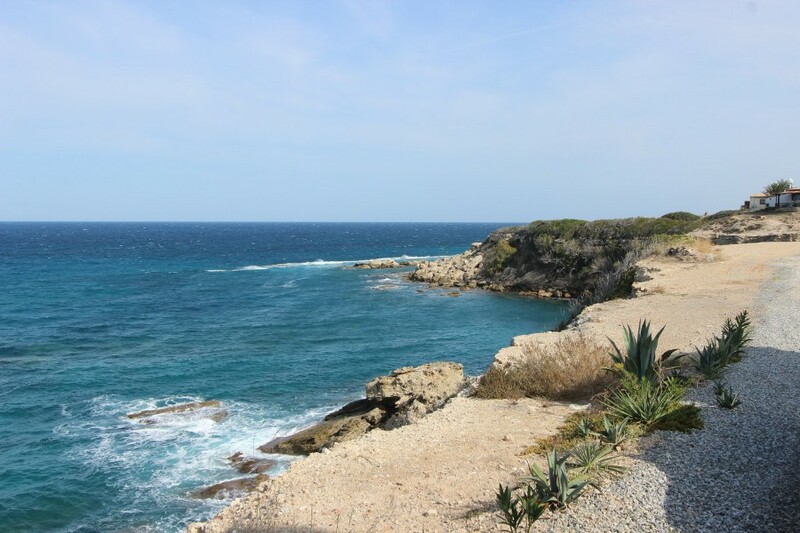 It is close to the popular “Eagle’s Nest” and “Sea Breeze” Restaurants and several lovely swimming bays and just a short drive from the 18 hole golf Korineum Golf Course and the planned new marina. 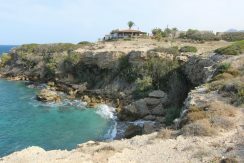 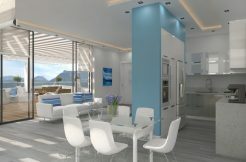 With steps down to the Mediterranean, it would suit a single or couple wanting a unique retirement or vacation apartment. 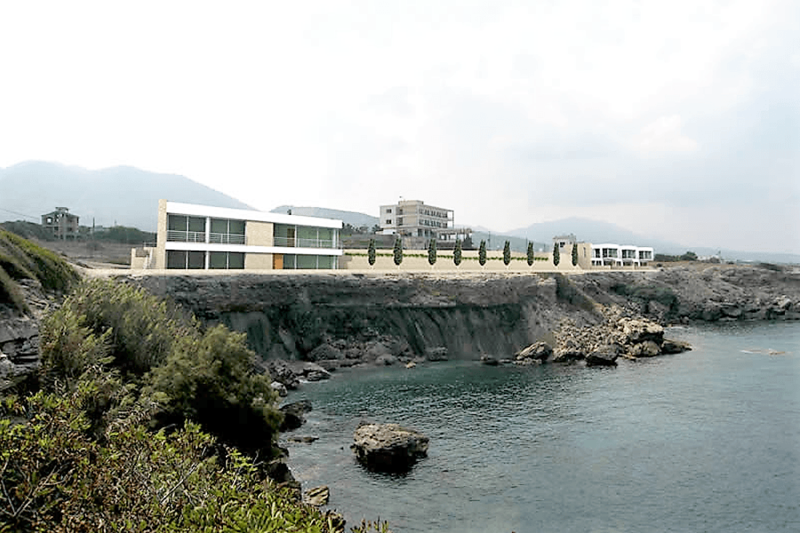 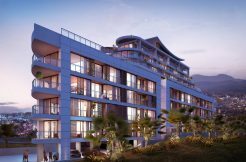 The spacious property makes up part of an exclusive, ultra-modern, unique designer development of only 6 frontline properties right on the clifftop in Bahceli. 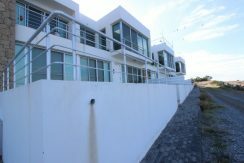 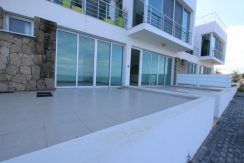 It is entered via a front door on the large 33m2 terrace next to the picture windows. Enter directly into the spacious living area with L shaped kitchen area at the rear. 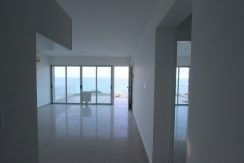 The ensuite master bedroom shares the same frontline views with its own floor to ceiling picture window with views direct to the sea. 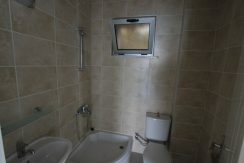 The other two bedrooms are at the rear of the property sharing the family bathroom. 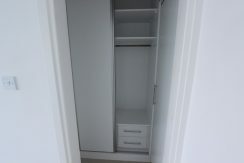 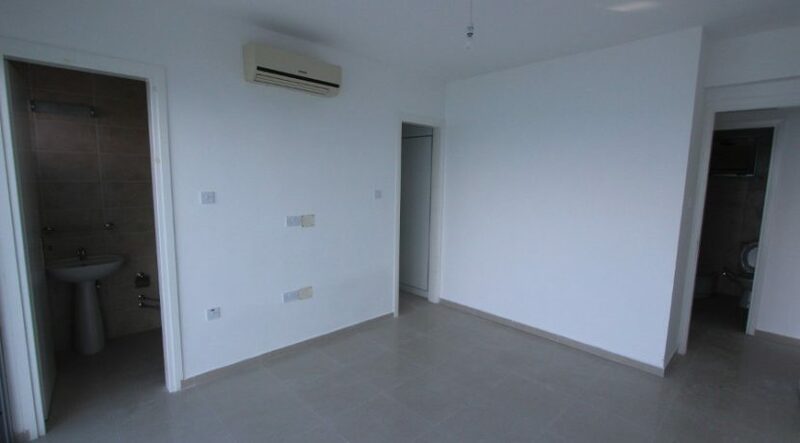 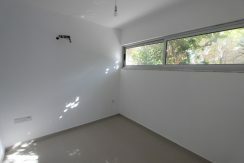 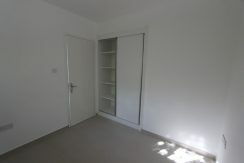 There is split level hot/cold AC throughout the property and fitted wardrobes to all bedrooms. 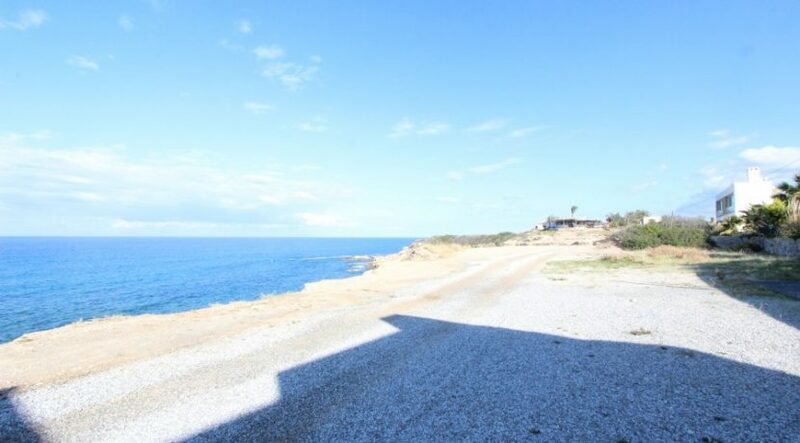 Offering huge investment or rental potential, this is a truly unique property. 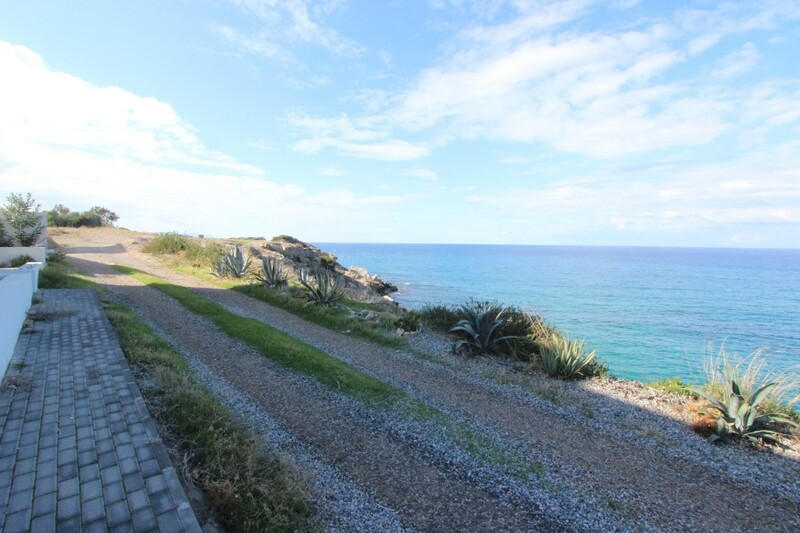 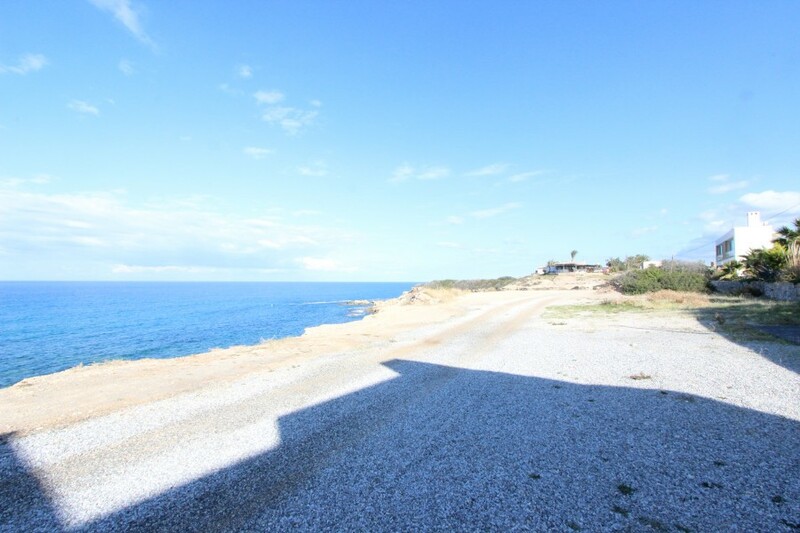 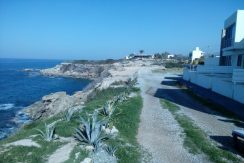 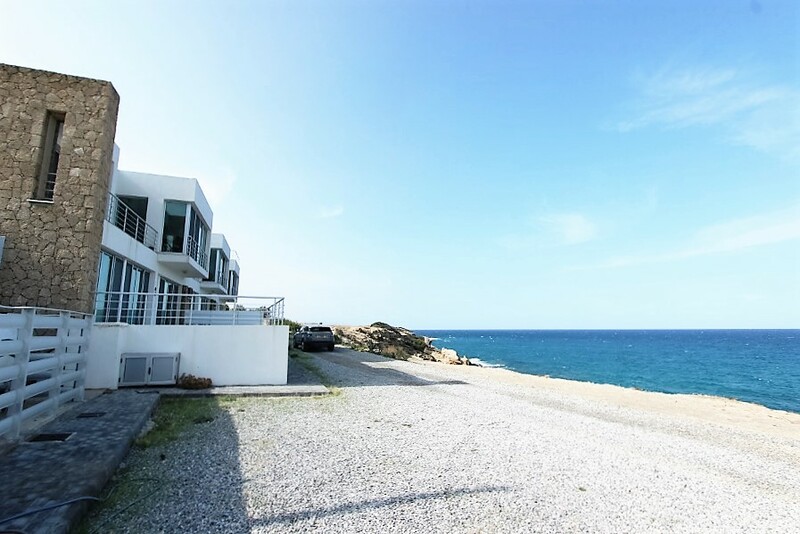 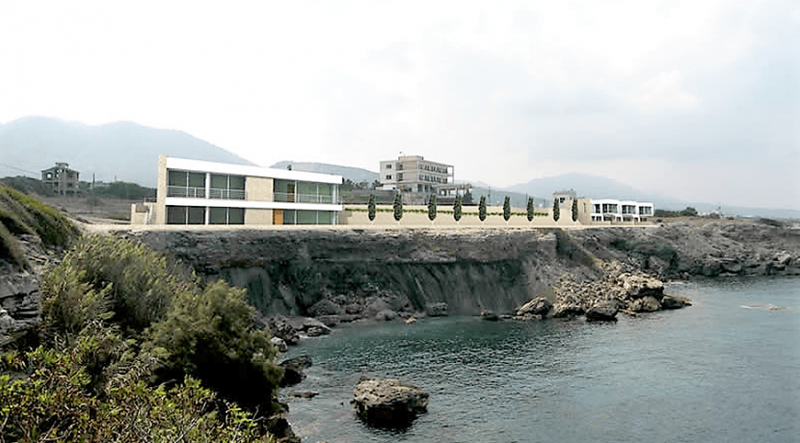 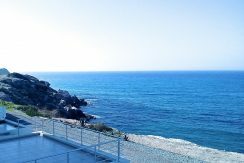 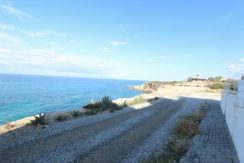 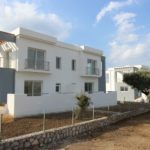 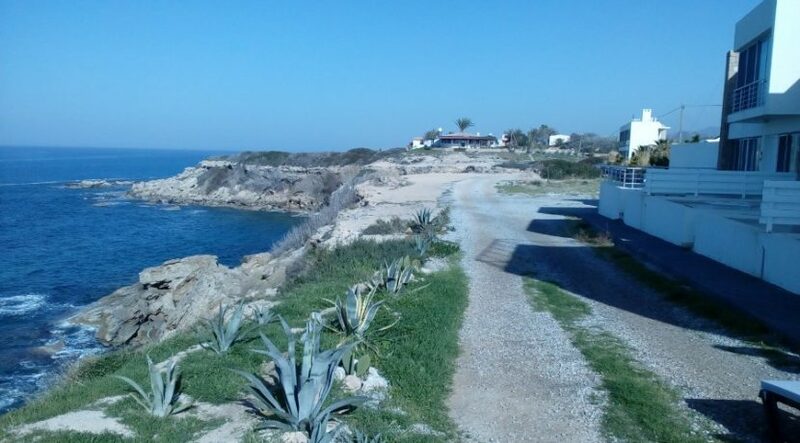 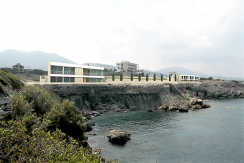 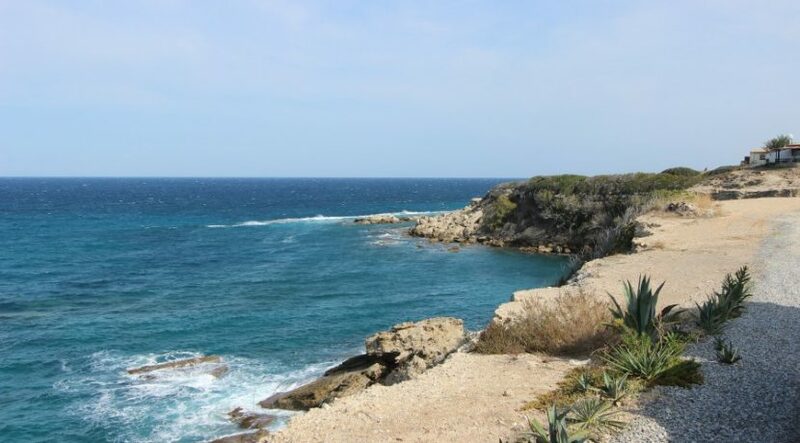 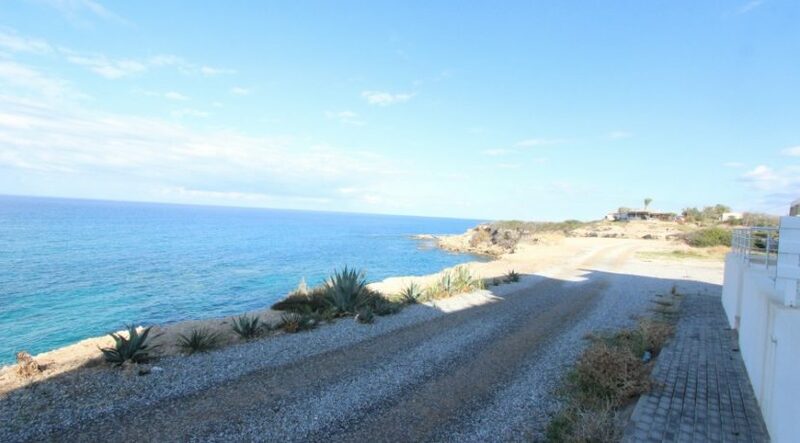 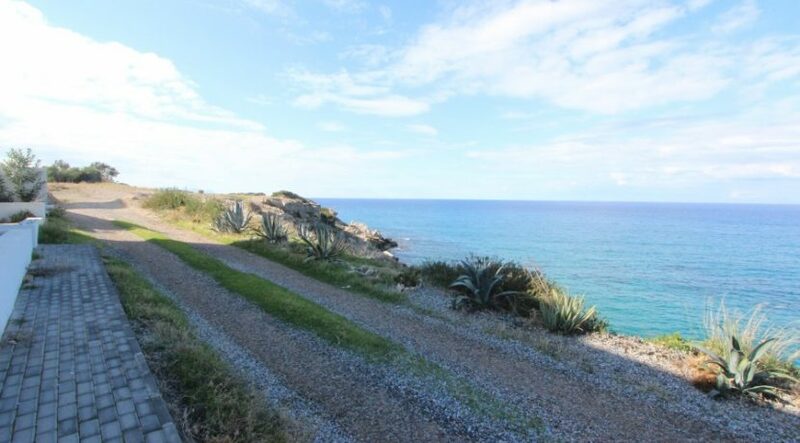 The law now prohibits the building of North Cyprus properties right next to the sea – since the introduction of the “100metre rule”. 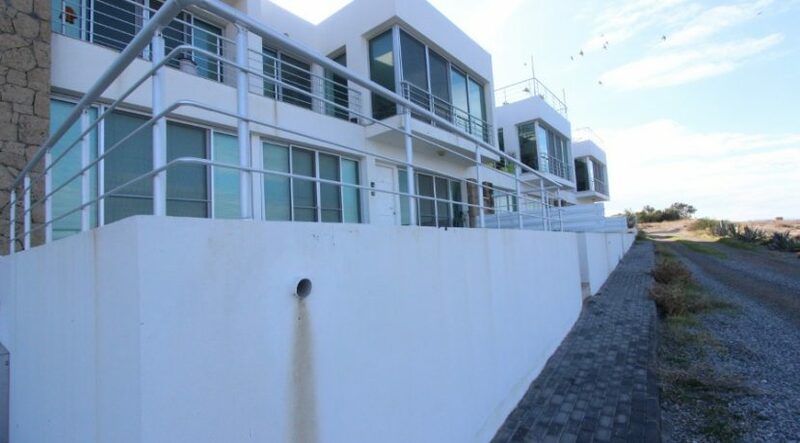 The lucky future owner of this modern apartment with steps to the sea will be buying something which can now never be repeated as planning permission was gained prior to the new rule. 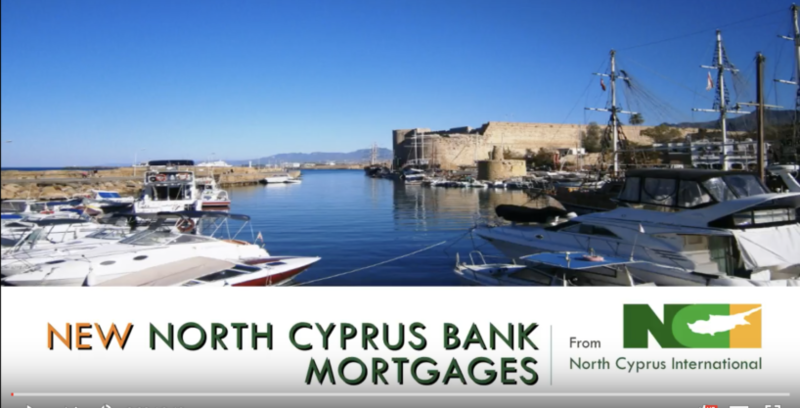 Call our North Cyprus International staff in UK or Cyprus now on +44 207 112 8086 or +90 548 861 0600 for viewing or 3 free night inspection visit. 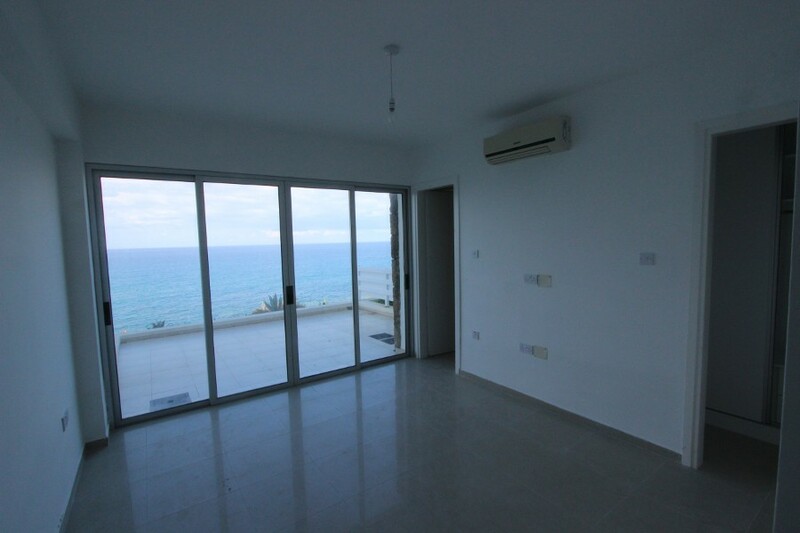 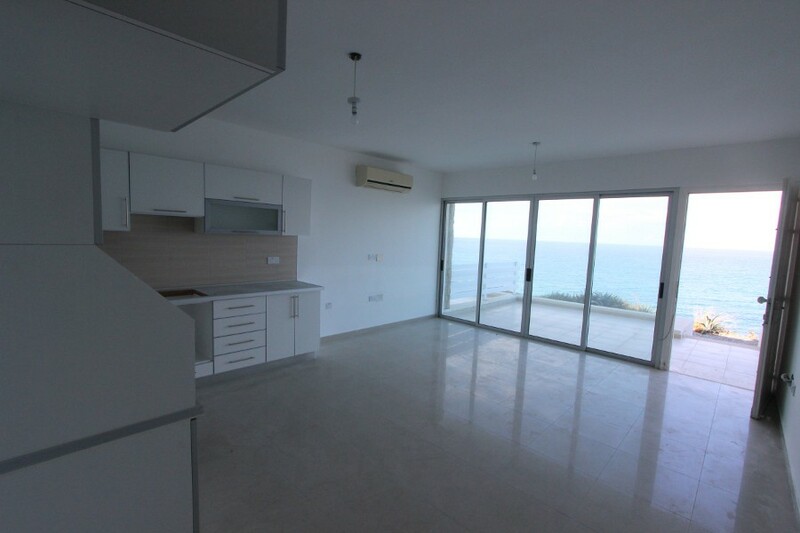 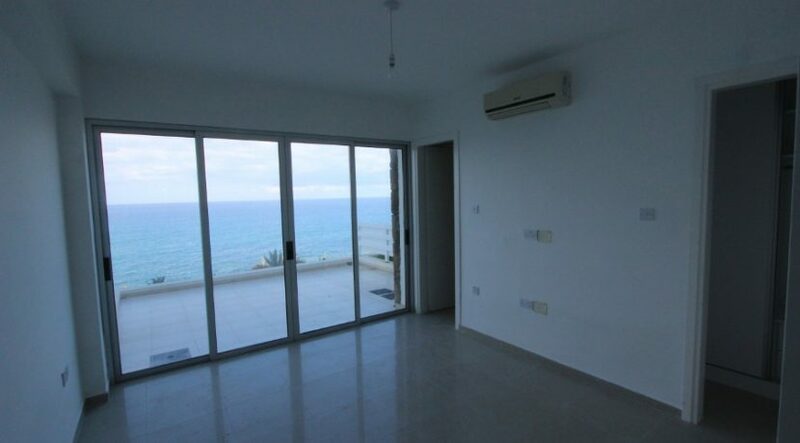 Details: Single aspect (sliding doors with sea view), air con unit, tiled floor. 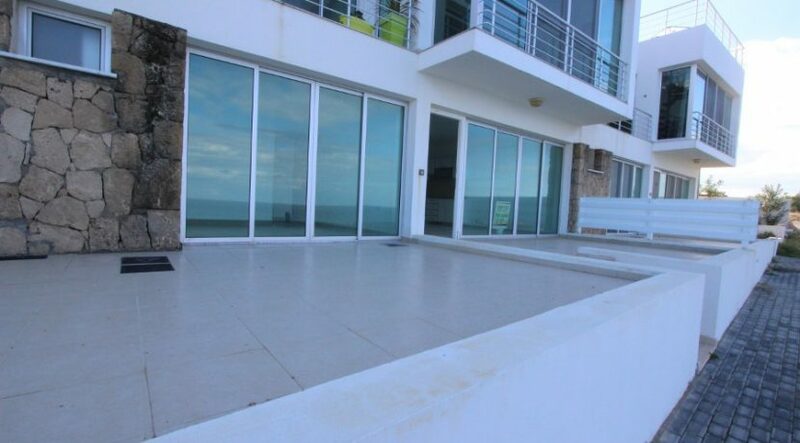 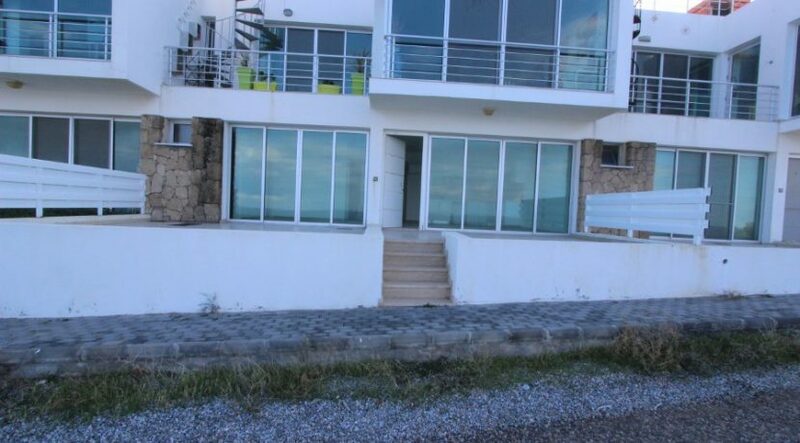 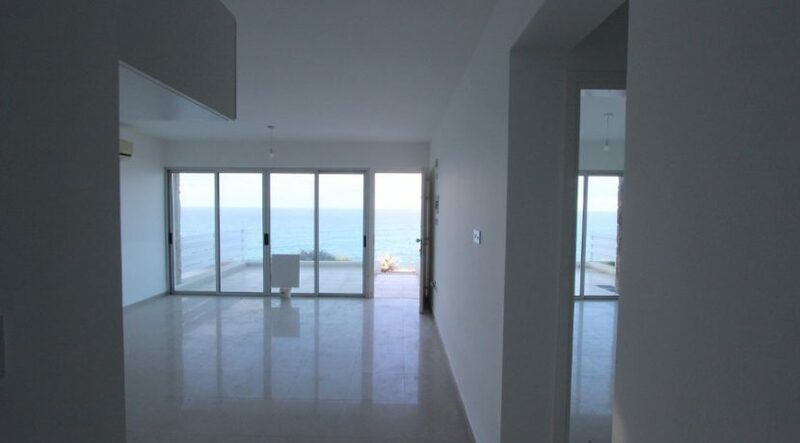 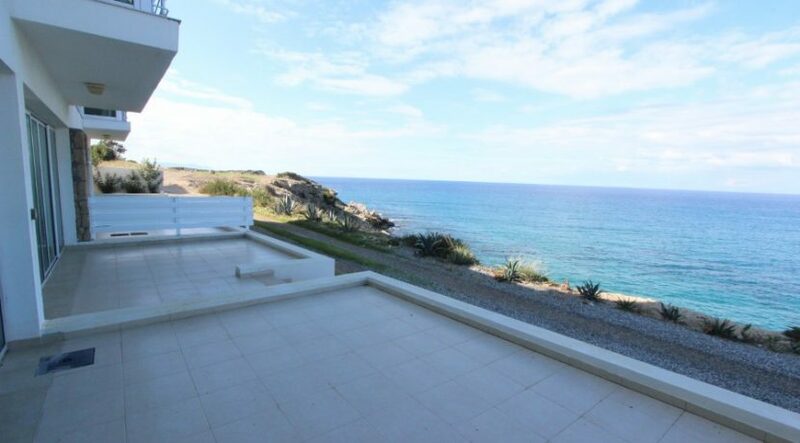 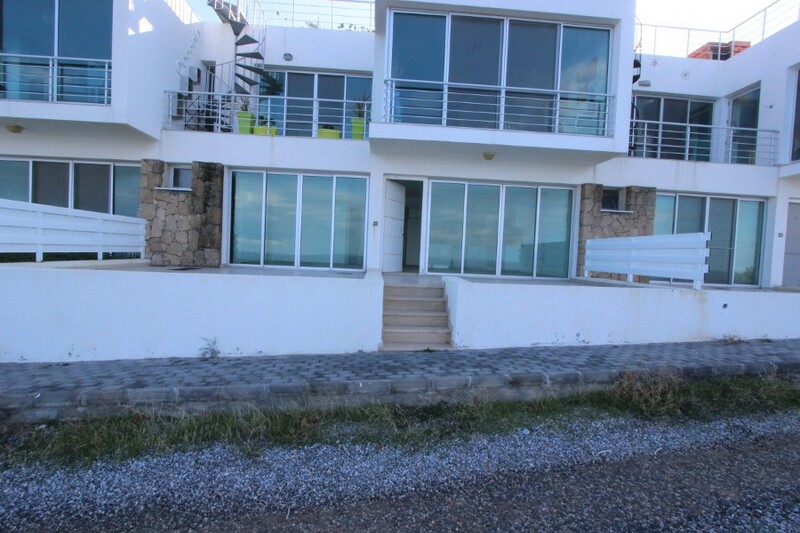 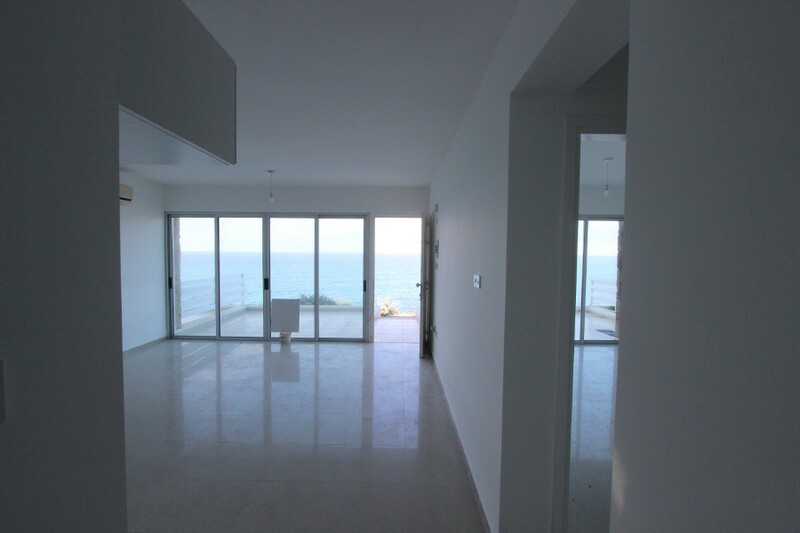 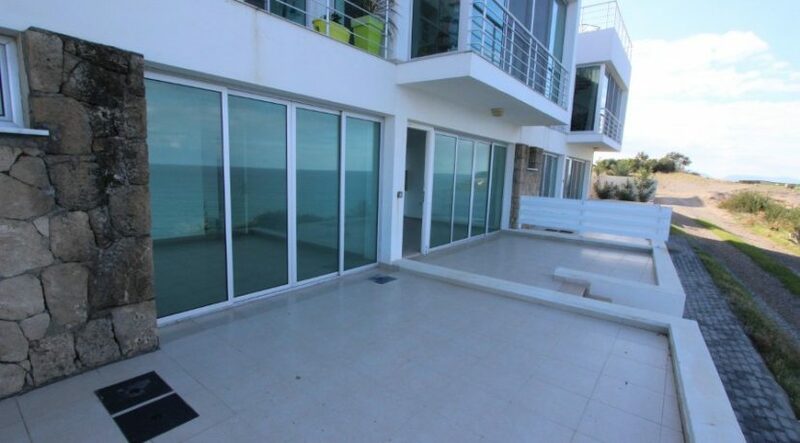 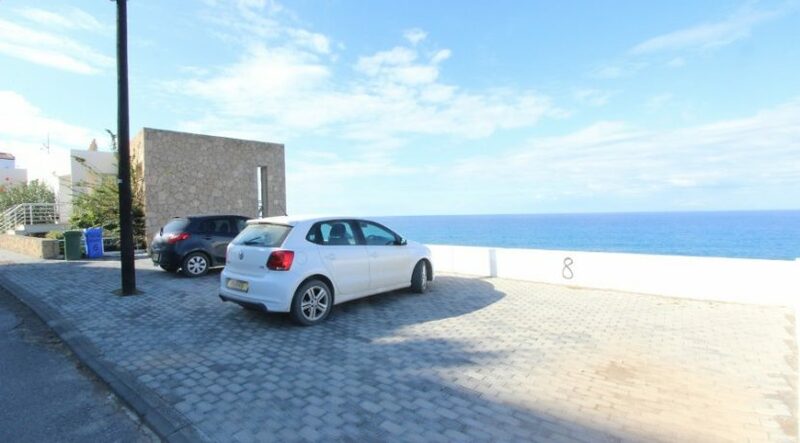 Details: Single aspect (sliding doors with sea views), air con unit, separate fitted wardrobes, tiled floor. 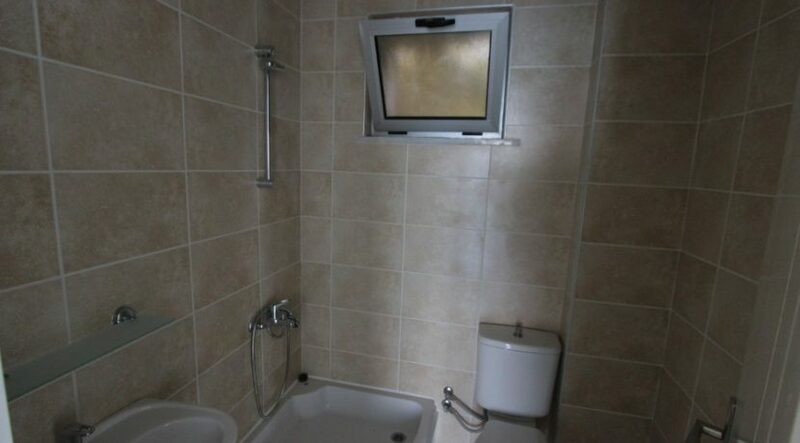 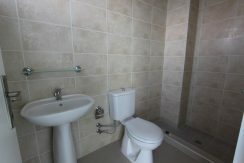 Details: Single aspect, walk in shower, tiled wall and floor. 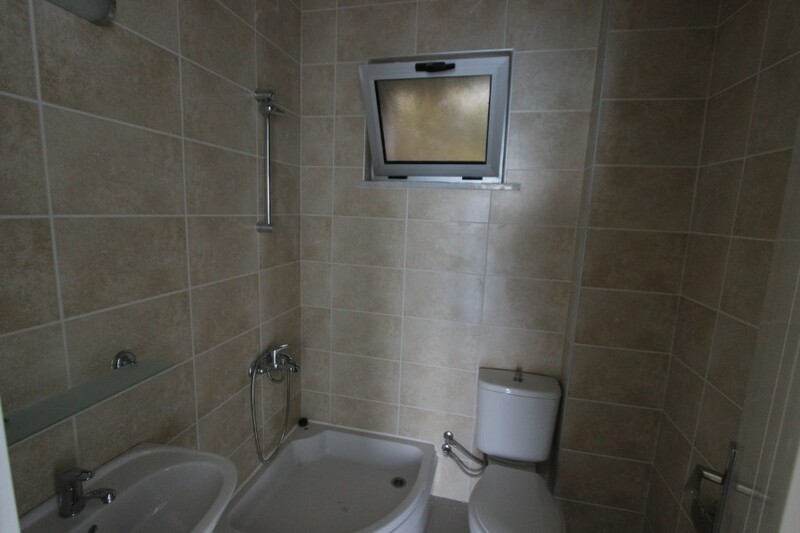 Details: Single aspect (window), fitted wardrobes, tiled floor. 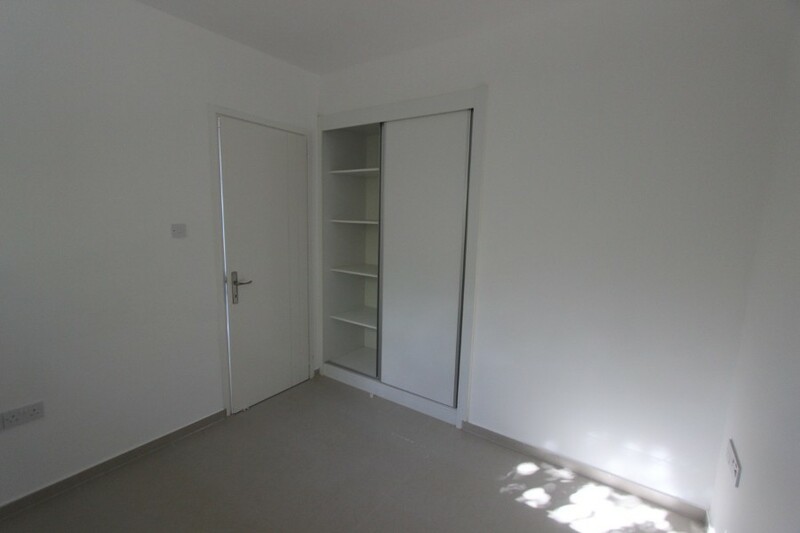 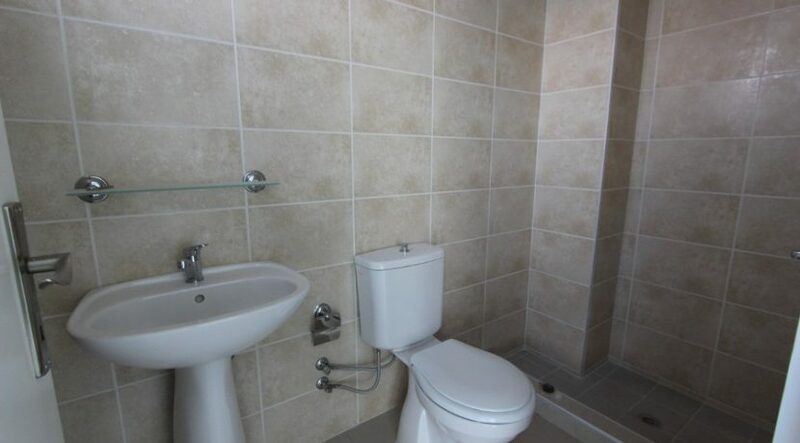 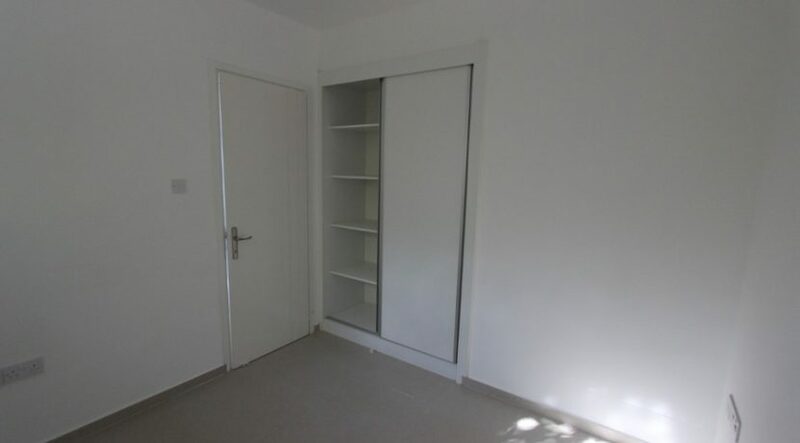 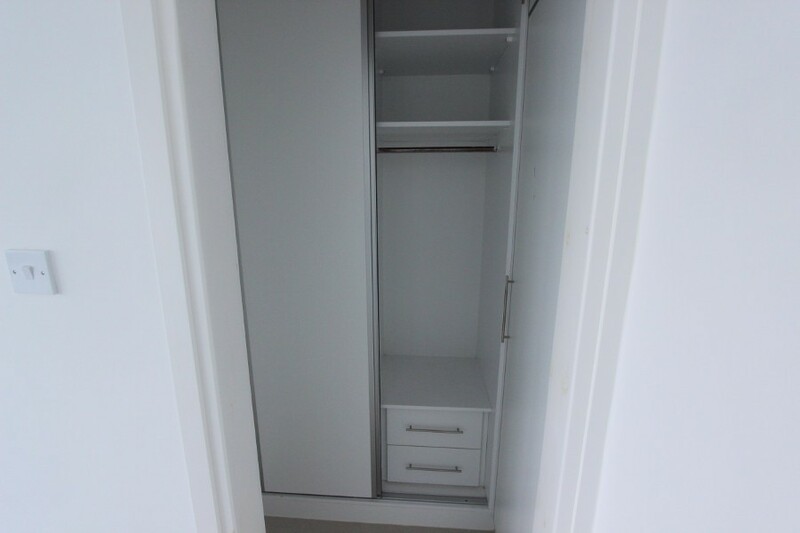 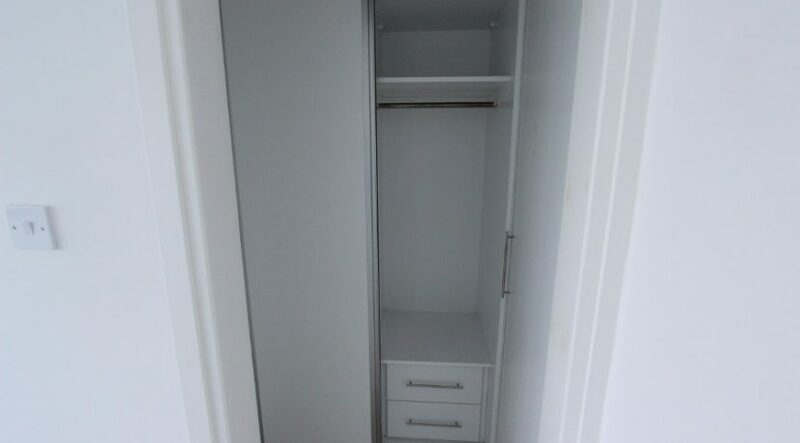 Details: Single aspect (window), fitted wardrobe, tiled floor. Details: Single aspect, tiled wall and floor.